Alizée Dufraisse has made ​​the first female ascent of "El món de Sofia" (8b+/c, 5.14a) in El Pati. Alizée has been in Siurana, Spain, since the holidays, where she spent most of the winter trying to send her super-project. The El Pati area is famous for other big climbs, like "La Rambla" which was first climbed by Alex Huber in 1994. This next clip is of a soaking wet rare ascent of Cascade de l'Oule, Vallée du Grésivaudan, 280m, Grade V+ by Erwan Lelann and Arnáud Guillaume. The waterfall flows down from St. Hilarite du Touvet, which is a commune only accessible by an inclined railway called a furnicular. Renan Ozturk spent a lot of time in the spotlight last year after the release of his, Conrad Anker's and Jimmy Chin's film about their ascent of Meru Shark's Fin. The trio's documentation of the climb won much acclaim for their striking cinematography. The following clip is a highlight reel of Renan's prowess behind the camera. One of the hottest ski movies of the 2011-2012 season was Sherpa Cinemas All.I.Can, and personally, my favorite segment was JP Auclair's street segment. Click here in case you missed it. Well, this year for the Pain McSchlonky (a "hilarious tribute to legendary skier Shane McConkey"), they made a great video spoofing the JP Auclair segment. To read more about the event, click here. The first time many of us noticed Magnus Midtbø was at the 2011 World Cup in Arco, Italy. Soon after that, a video was released on Youtube titled "Insane Norwegian Climber" where we saw that super-ripped Norwegian kid cranking one-finger pullups and one armed pushups. Recently, Magnus has been spending time in Spain working on Neanderthal (9b, 5.15b). While waiting for the route to dry, he decided to hop on Ciudad de Dios (9a/+, 5.14d). The Santa Linya Collective - first teaser from MadSkillz Media on Vimeo. When your alarm goes off at 2:30 AM on a Saturday morning there can be a slight bit of confusion as to what is going on. My eyes barely open to see the clock, and my mind races to figure out where I am. I'm in my bed not a tent, so I can't be working. I worked all week so why did I have my alarm set must have been a mistake. Turn that noise maker off and get some sleep! As I roll back over to drift back into dream world skiing Mt Baker crosses my just-wakening brain. Ah that would be fun definitely need to do that. WAIT!! My eyes open wide a burst of energy surges through my body, all of a sudden I am awake. I grab my phone and immediately text Casey: We still on for today! Minutes later my phone chirps as I get the coffee going see ya in 15-20. 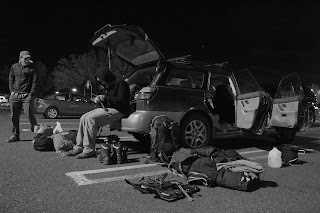 We depart Bellingham at the rich hour of 3:15 AM and start the drive up to Mt. Baker. The road is closed about 4.5 miles and 2000 feet below the Heliotrope Ridge trail head. The morning is clear and crisp as we don our headlamps and set out at 5 am to bite off the first chunk of mountain. The first part of the ski is a very easy, enjoyable, and gentle skin up a road to the trail head. Just before we reach the trail head, we get an amazing view of our objective as the sun begins to lighten the sky. Conditions appear to be good and avalanche danger seems very manageable. I take a moment to scan the skyline for any recent avalanche activity up high, although it is hard to get a real feel of this as the sun is rising due to flat light. I see nothing glaring to suggest the avalanche danger has changed since I checked the Northwest Avalanche Center Avalanche bulletin at 2:45 AM. I remind myself to not get caught in the classic heuristic trap of blue bird day, big objective, great skiing, and complacency. After a quick food and tea break at the trail head, we start moving up the mountain. We follow Grouse Creek to the base of Heliotrope ridge and start to skin up the gully. We do our best to keep a low-angle efficient skin track to conserve as much energy as possible for the the 8000+ feet of skinning we will be doing that day. About and hour later we stop to drink and refuel our bodies. More low-angle track setting and a couple of hasty pits lead us to another break on top of Heliotrope ridge. The sun is getting higher in the sky, the snow conditions are shaping up to be perfect. I begin to think this could be a summit day. Again, I take a moment to remind myself about complacency. From Heliotrope Ridge we traverse slightly downhill and cross the upper stretches of the football field and take another food and tea break on the pumice ridge. On the ridge the snow conditions change a bit. I throw out the idea of not going to the summit and instead turning multiple laps high on the mountain in great snow. Both Casey and myself decide that since neither of us have summitted Baker yet and the conditions on the Roman Wall are variable but still good conditions for volcanic dome skiing, that this would be a great day to put that tic on the list "skied from summit of Baker". We put the skis on our backs and start to boot up the last 800 or so feet to the summit. Booting went much easier then anticipated and I take note of variability in the snow. The last 200 feet I find myself breaking trail through a pocket of deeper snow and think just maybe we will get some powder turns up high. We summit right around 1 PM and don't waste much time rejoicing on our success, immediately beginning to switch from skinning mode to skiing mode. My legs never feel super fresh after 8000 feet of uphill travel but there always seems to be a bit of ease once I get my heals locked back to my skis. I always think, I will be able to rest a bit on the descent. Unfortunately, the first part of the descent is the most technical portion of the ski. A 300 foot sustained 40 degree slope to a mid 30 degree variable snow condition ski back to the pumice ridge. My legs are on fire as I try to make every turn look effortless to the folks who are booting up the Roman Wall. One turn is boot deep wind buff, the next turn is chunky ice, then back to variable powder, then to sastrugi snow. Legs are on fire, head is in the game, the slope ends in crevasses. Yup, I am skiing a volcano! Once we got off the pumice ridge and started our descent to the football field we were blessed with perfect low angle powder turns. We stop mid way and eat our remaining food, drink more water, take in our accomplishment and the amazing views. Some traversing to Heliotrope Ridge leads to steeper terrain. After a quick discussion of snow conditions we determine that skiing the steeper slope would be very rewarding. We weren't wrong. A confusing traverse through the trees led us back to the trailhead and then a very easy and yes relaxing ski down the road brought us back our cars! Winter is still holding strong in much the US. However, I know there are those of you out there who have already taken a trip or two to warmer climes to get a jumpstart on your climbing this year. Hopefully this will give the rest of you that extra boost to get out there. Salomon puts out some great skiing clips throughout the season. Their latest edition again highlights a combination that is becoming more and more common - skiing and flying. In case you are one of those folks who aren't quite ready to put away their skis, here's a nice one from ski mountaineer Vivian Bruchez. Go Pro cameras have changed climbing and skiing. Now we get to see what the most extreme climbers and skiers see when they are in the mountains. We have featured a number of videos on this blog that provide an avalanche victim's perspective. In every case, the victim survived. This past week, two "survivor videos" were uploaded. Each of them show a fall. This first video was taken by climber Mike Roberts on Scotland's Parsely Fern. The climber is making his way up a moderate slope, solo. When a piece of ice comes down and catches him, he falls...and he falls, and he falls. It's not clear what kind of injuries he had at the base, but he survived...which is more than most people could say for such a long drop. To read an interview with Roberts about the incident, click here. We can learn from these incidents. In the first, the climber was in terrain that he was comfortable with and he had wo tools, which theoretically would give him a bit of a self-belay. However, he is soloing beneath a climber on ice. And ice that you hit with a pick tends to fracture and fall. I would suggest that he put himself in a dangerous predicament by being below another climber. But if you're going to push the limit, you should work your way up to it. Try things that are a little harder than the last thing you successfully completed. Don't try to be Jedi Master on the tenth day of your ski season... Ski smart and stay within your ability. Last week we covered the concept of using a fixed rope in an instructional setting. There are two other ways to use a fixed line. The first is on an aid climb and the second is on a big mountain expedition. Chris McNamara is one of the better known big wall climbers out there. Aside from managing supertopo.com and producing supertopo guidebooks, Chris has recently developed a How to Big Wall Climb book. "If at first you don't succeed, try, and try again..." This classic phrase is the essence of a concept that all climbers are familiar with: the project. Whether it be sport or trad, a long alpine route or a pumpy boulder problem, we all have our projects - the carrot dangling in front of our noses, pushing us forward and, in our cases, upward. The first video this weekend shows the trials and attempts of Mina Leslie-Wujastyk projecting "Careless Torque" in the Peak District, England. The route was established in 1987, the same year that Mina was born, and has waited these 25 years to see its first female ascent. Careless Torque from Outcrop Films on Vimeo. Since Friday was "International Women's Day," I thought I would highlight some more amazing women of the climbing world. In this next clip we find Sasha DiGuilian working on "Golden," a 5.14B at the Cathedral in southern Utah. Coincidentally, Sasha also has some inspiring words on persevering through your tough climbing goals. I couldn't focus on women climbers without mentioning the amazing Lynn Hill. Lucky for you, you get a 2-for-1 in this next video, because in has another superstar female climber, Katie Brown. In this video, Lynn and Katie get the FFFA (that's First Female Free Ascent) of West Face (V 5.13b/c A0), Leaning Tower, Yosemite. The end of my ski season is rapidly approaching and I have been trying to ski as much as possible. When I saw the forecast for last weekend, rain to 7k and lots of it, I was more than a little upset. 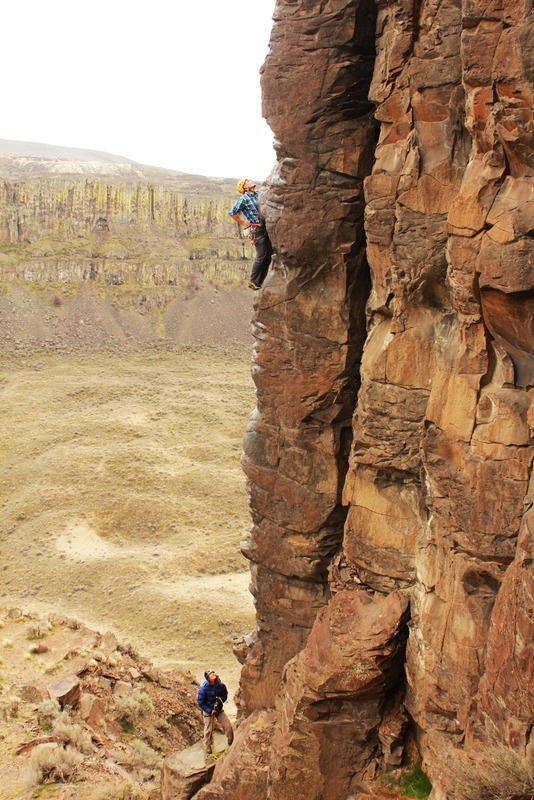 After some internet pursuing, I finally decided to head out to Frenchman’s Coulee or Vantage to do some rock climbing. 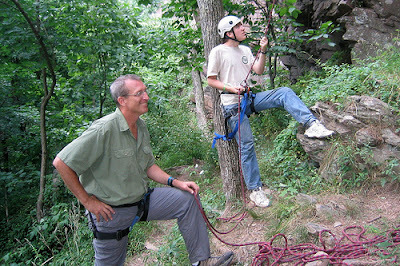 Fellow AAI guide Chad Chochran and friend Boe Trosset were willing partners. We departed Bellingham late morning on Friday and started the drive. After driving south on I-5 for about an hour, chatting, and abusing iPhone internet, we slowly came to the realization that alpine climbing could be very good with the previously dismal forecast. The rain that had previously been the bane of my existence was going to be followed by rapidly lowering freezing levels on Sunday and then sun on Monday. Kicking ourselves for not realizing this earlier, we pulled over, grabbed some coffee, and debated alpine objectives. Settling on the north face of Mt. Hood, we headed back to Bellingham to grab our alpine ice gear. The plan was to rock climb Saturday and Sunday, then head to Hood for the high pressure on Monday. We arrived at Vantage Saturday morning to find good weather and lots of people. Most of the day was cloudy but late afternoon brought clearing skis and beautiful light. Conditions made it hard to stop climbing. We decided to end the day on Sunshine Arete, a 100 foot tall bolted arete. Sunday dawned clear and cold. We climbed a couple pitches in the sun and then bolted for Mt. Hood. After gathering the necessary supplies, we drove to the Tilly Jane snow park and turned in around ten. Getting up at O'Dark thirty is never fun but we managed to start moving by two am. The rain followed by low freezing levels produced great conditions. Travel was fast and easy. After a couple hours of hiking in the dark, sunrise on the Eliot Glacier was a most welcome sight. Our route is the righthand gully. Low on the route, below the first ice step. After leading the first ice step and belaying Chad and Boe up, I began to feel the altitude. As Chad was feeling strong he led the next block of simul-climbing. This involved allot of steep snow and 50 degree ice. Approaching the second ice step. Lots of calf burning 50 degree snow/ice. Chad took us to the top of the second ice step, which was by far the best climbing on the route. Feeling better, and not willing to let Chad break any more trail, I led the next simul-block which put us right below the summit. We topped out right around noon and began the long downclimb of the Cooper Spur. Mandatory summit shot. Chad, on right, looking like an alpine gangster. While it appeared short and easy, the descent was longer and steeper than anticipated. After a long and uneventful descent we made it back to the car just before five and started the long drive back to Bellingham. 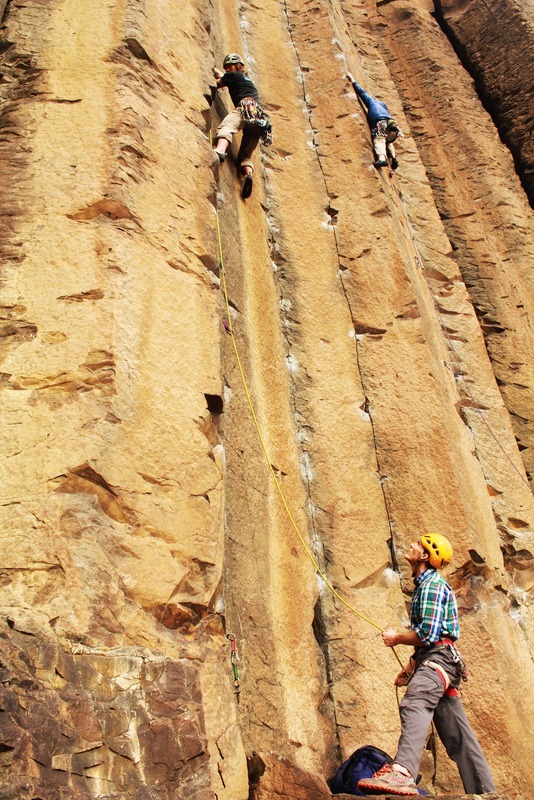 While the forecast may have been bad for skiing, it turned out to be great for climbing. This weekend's videos both speak to the psyche behind being in the mountains. Getting up early, hiking in the dark, enduring through the cold, fighting through the fear, and pushing ourselves to our limits without going over the edge. All part of the games we all play out there. Usually I try to feature short, quick videos that get your blood pumping a little faster. But sometimes I find a gem, something that takes its time to seep deep, down into you. White Noise is a 20 minute biography of Xavier de Le Rue, one of the worlds best big mountain, backcountry snowboarders. So sit back, expand this one to full-screen, and enjoy. When I opened up the first page of Cheryl Strayed's enthralling Wild, I was disappointed. 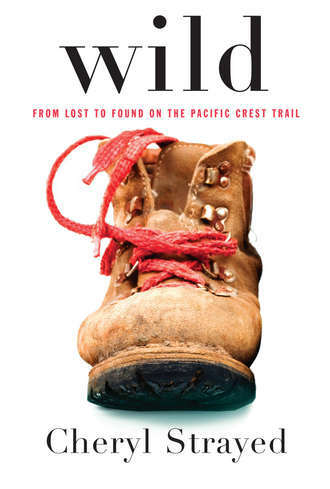 The book was supposed to be the memoir of a woman who hiked the Pacific Crest Trail in the mid-nineties; but on the map at the beginning it only showed that she hiked part of the trail. She hiked a bit low down in California, a bit high in California and then all of Oregon. My first thought was, why should I read a book about someone who only hiked part of the PCT. Over the years I've met a lot of people who have trekked from Mexico to Canada on the Pacific Crest Trail. Indeed, we have employed at least four guides since I've been here who have made the journey. The trail's length and the endurance it takes to hike it are things to be admired. The trail stretches 2,663 miles and most people take five months to hike it. Strayed walked 1,100 miles on a 100-day expedition, which is nothing to scoff at. But what I found truly engaging about Wild was not the adventure travel narrative. Instead it was the journey within the journey. As such, it didn't matter that she hadn't hiked the whole trail. That's not what the book was about. Cheryl (it's hard to refer to her with her last name after reading such an intimate book) started the trek in an extremely dark place. She had hit the absolute rock bottom in self-destructive behavior. Her mother had recently died, which resulted in a profound grief that ruined her youthful marriage and lead her down a dark rabbit-hole of one-night stands and drug abuse. She knew that she needed a change. She needed to find a way to deal with her grief while building herself back up; so with little knowledge of wilderness travel, she decided to hike a large portion of the Pacific Crest Trail. Hamburger feet. A massive pack she could barely lift nicknamed, Monster. Painful calluses on her hips from her waist-belt. An irrational fear of animals. Dangerous dehydration. And minor epics too numerous to count. Often times Cheryl's ignorance is funny. And sometimes it's a little bit scary. But it's always entertaining. We've seen this comic novice backpacker part before though. Bill Bryson's A Walk in the Woods covers much of the same ground on a different trail. His book deals with his own comic ignorance on the Appalachian Trail. And while this aspect of Wild is entertaining, it's not the heart of the book. No, the heart comes from a deep place where nature helps to heal the emotional wounds that we suffer in this life. This core of the memoir is what removes Wild from the standard aventure narrative and elevates it to the highest level of outdoor literature. Cheryl writes eloquently about the history of the trail and about the people who helped it come into being. These include proponents like Catherine Montgomery in 1926, Clinton Clark, who took up the cause in 1938, and then Warren Rogers who saw the trail dedicated in 1968. In the following passage, she writes about how these people understood what nature means to the human soul. It didn't matter that everything from my cheap knock-off sandals to my high-tech-by-1995-standard boots and backpack would have been foreign to them (the trail's founders), because what mattered was utterly timeless. It was the thing that compelled them to fight for the trail against all odds, and it was the thing that drove me and every other long distance hiker onward on the most miserable days. It had nothing to do with gear or footwear or backpacking fads or philosophies of any particular era or even getting from point A to point B. It had only to do with how it felt to be in the wild. With what it was like to walk for miles for no reason other than to witness the accumulation of trees and meadows, mountains and deserts, streams and rocks, rivers and grasses, sunrises and sunsets. The experience was powerful and fundamental. It seemed to me that it had always felt like this to be a human in the wild, and as long as the wild existed it would always feel that way. That's what Montgomery knew, I supposed. And what Clarke knew and Rogers and what thousands of people who preceded and followed them knew. It was what I knew before I even really did, before I could have known how truly hard and glorious the PCT would be, how profoundly the trail would both shatter and shelter me. There are dozens of beautiful and heartbreaking moments in Wild. We cry for Cheryl's mother. We cry for Cheryl's ex-husband who tries to deal with her grief, but can't handle it when the grief turns to adultery. We cry for a horse that has to be put down and is done so sloppily. We cry for Cheryl's drug abuse. And finally we cry for Cheryl... We want her to survive, not just the trail, but her grief. We want her to learn what she needs to learn from the wilderness, and we want her to bring her knowledge back with her. I often found myself both angered with and enamored by Cheryl. From a technical perspective, it drove me nuts that she hiked over a thousand miles and never figured out how to take care of her feet, or really pare down on her backpack. From a personal perspective, it drove me nuts that she was attracted to a guy that brought her into a dangerous drug culture. And it drove me nuts that she treated her ex-husband -- whom she truly loved -- so poorly. But on the other hand, I found myself falling in love with her as she came to terms with her mother's death and with her personal quest to find value in herself and in her life through self-imposed wilderness therapy. I went into the women's restroom. As I brushed my teeth before a flourescently lit mirror above a bank of sinks, a woman said, "I like your feather," and pointed to it on my pack. "Thanks," I said, our eyes meeting in the mirror. She was pale and brown-eyed with a bumpy nose and a long braid down her back; dressed in a tie-dyed T-shirt and a pair of patched up cutoff jeans and Birkenstock sandals. "My friend gave it to me," I mumbled as toothpaste dribbled out of my mouth. It seemed like forever since I'd talked to a woman. "It's got to be a corvid," she said, reaching over to touch it delicately with one finger. "It's either a raven or a crow, a symbol of the void," she added, in a mystical tone. "The void?" I'd asked, crestfallen. "It's a good thing," she said. "It's the place where things are born, where they begin. Think about how a black hole absorbs energy and then releases it as something new and alive." The wilderness is the void, and the adventures that we take there are what shape us. This is implied throughout the cannon of outdoor literature; but few books take us simultaneously so deeply into the crucible of the backcountry as well as into that of the human heart. Wild is a funny, adventurous and heart-wrenching tale that reminds us of something that we already know. That wilderness and our adventures there can heal us and give us hope.